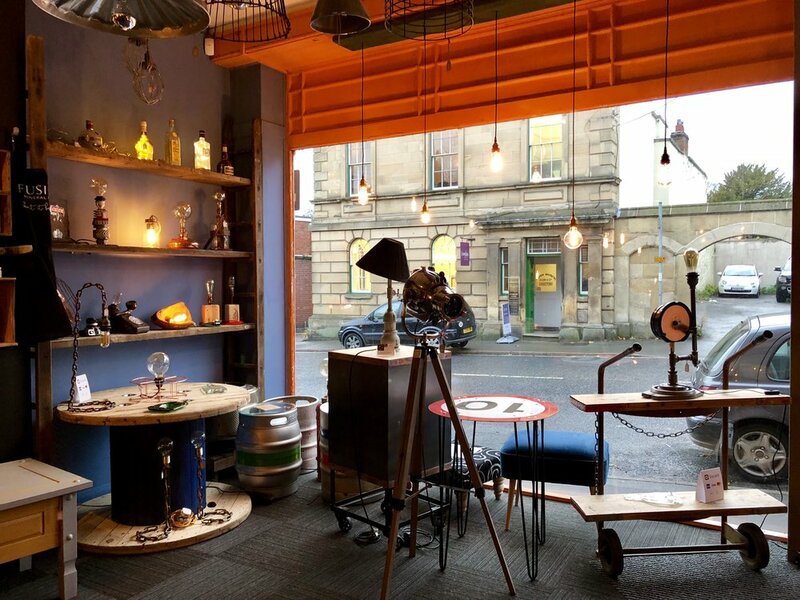 Here at Upcycled Creative we have been busy making lots of changes over the last few months. 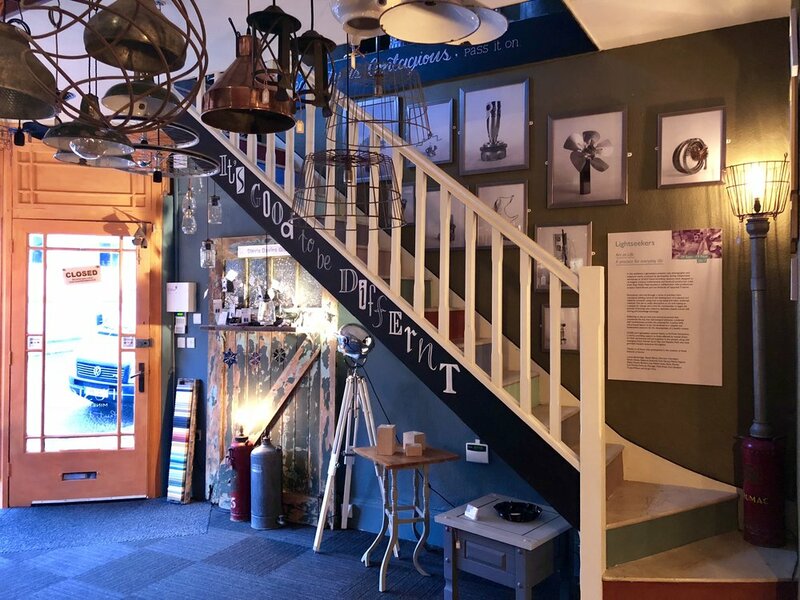 We are delighted to have moved into our new premises in Wirksworth – we're on the main street of this picturesque Derbyshire Dales town with its narrow streets, historic architecture, independent shops and its own steam railway. 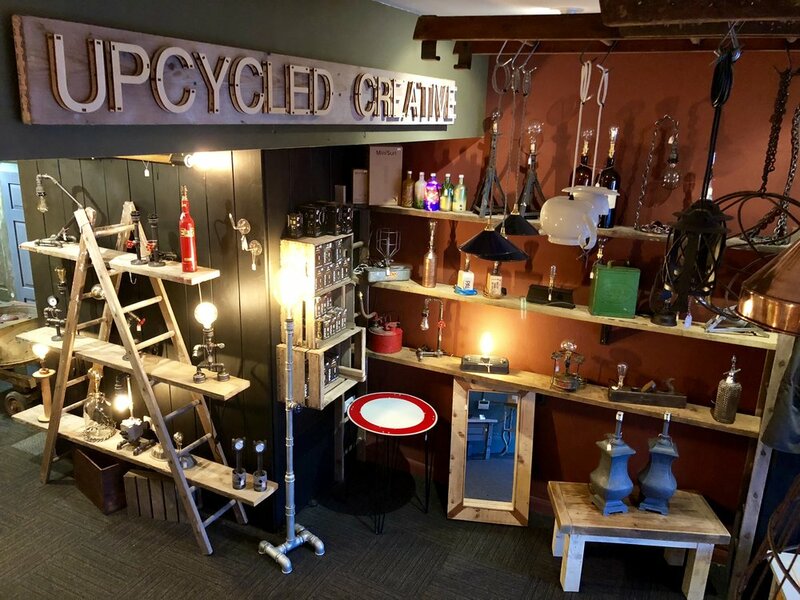 Our new shop provides us with a showroom displaying our latest ranges of upcycled furniture and lighting as well as brand new dedicated workshop space. So if you've always fancied learning the basics of upholstery and furniture painting or already know a little and would like to further your skills then come along and join us at our workshops, which we hold regularly throughout the year. For further details of all the courses we run visit our workshops page. Fusion mineral paints come in over 50 colours and, being pre-mixed, are easy to use. They're suitable for painting all kinds of surfaces including wood, fabric, metal, glass, plastic, melamine and laminate. Fusion Mineral Paints do not require an additional top coat of paint, will not chip or peel and are waterproof too. Read more about Fusion Mineral Paints here. 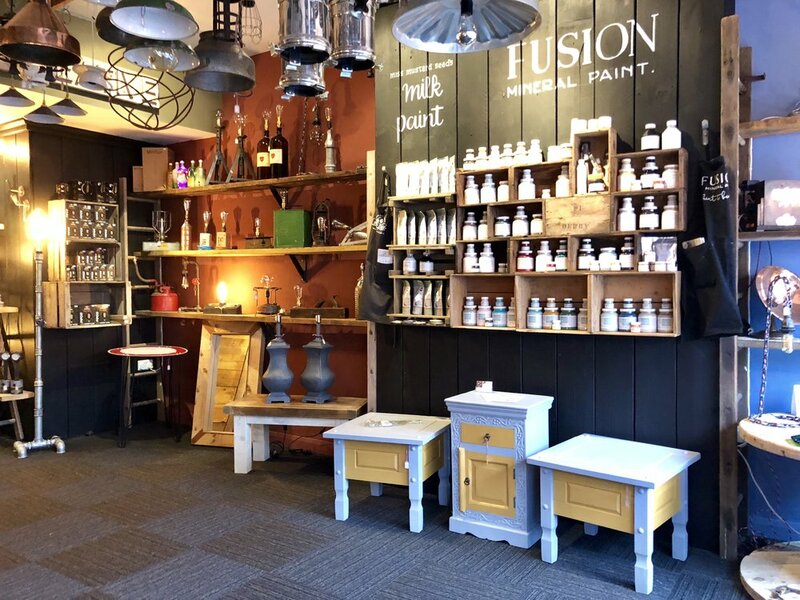 Miss Mustard Seed's Milk Paint is made up of just five natural ingredients – milk protein (casein), limestone, chalk, clay and natural pigments. Its powdered form provides an indefinite shelf life until you're ready to paint when you simply mix with water! It is the perfect paint for raw wood as it soaks into the fibres so retaining the natural wood grain. It can also give a more aged, antique finish. Read more about Miss Mustard Seed's Milk Paint here. At Upcycled Creative we know how important it is to choose the right paint for your upcycling project so why not pop in to see us in Wirksworth or email hello@upcycledcreative.co.uk and Lee can advise you on the best paint for your individual project – to make sure that whatever you're upcycling it continues to look its best year after year.